See scan - very good condition. Missing ribbon. This is a nice and rare 1969 Bulgarian set of the Mother / Motherhood medal. The medal is of the rare type with text at reverse opposed to later National Crest types. It also comes with original awar certificate / document. 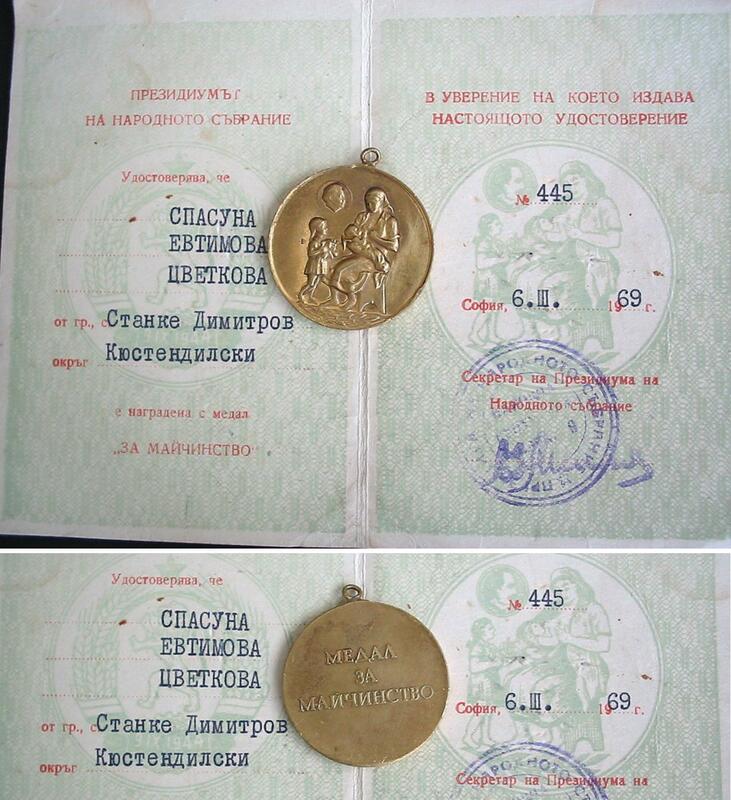 Nice collector piece and one of the rare Bulgarian medals.